The challenge of addressing labour constraints among women smallholder farmers is urgent in many developing countries. This is mainly a result of a range of barriers facing women farmers, including low income and lack of afffordable access to improved tools, low levels of education and awareness of the importance of improved agricultural tools, high mortality rates affecting draught livestock that would significantly reduce labour intensive workloads, use of poorly manufactured tools, cultural perceptions limiting the adaptation of tools and implements, missing linkages with local toolmakers, absence of rural energy sources and lack of adequate market research by tool producers particularly in relation to tools used by the poor who express limited effective demand in the form of purchasing power. Local players including women smallholders and producers need to be better equipped with knowledge and skills on how to improve their tools and implements to incorporate labour saving strategies that can decrease labour intensive work and have major sustainable impacts, including higher yields, higher incomes, more time for other activities, and reduce the incidence of child labour in rural communities. 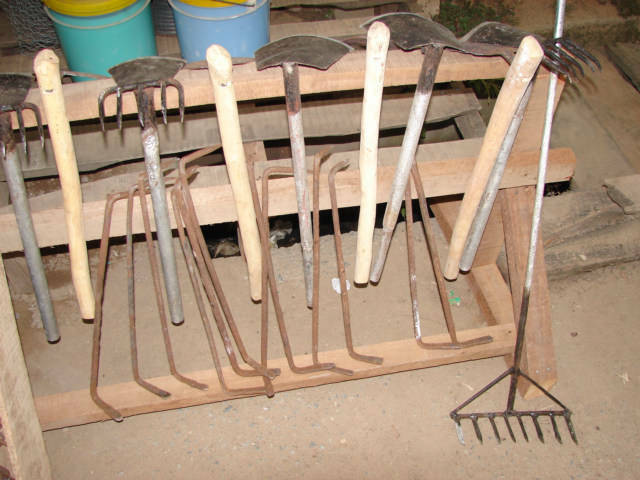 Over 1000 million smallholder farmers (predominantly women) are farming using labour intensive agricultural hand tools. These include tools for tasks such as weeding, planting, harvesting and crop/food processing. Smallholder agricultural systems remain largely dependent on human labour, having minimal access to alternative energy sources for cultivation and agri-processing such as draught animals or fossil-fuel powered mechanization. A major obstacle arising from such dependency is mass reduction in human farm power as a result of rural to urban migration in search of employment, especially among youth who do not view farming as a source of sustainable self-employment. This is further compounded by the rise in female-headed households in rural areas who may experience limited access to the on-farm labour that is necessary to improve agricultural productivity and yields.